As the Head of Academic Support, Technology & Innovation (ASTI) I lead a multidisciplinary team of Learning Technologists, Digital Skills Developers, and Post-doc Researchers to meet the ambition of supporting students and staff in the use of digital technologies and resources in the contexts of learning, teaching, assessment, research and support. am responsible for defining, maintaining and delivering a comprehensive portfolio of academic and professional services staff development and support opportunities for face-to-face, online or blended delivery. provide the academic lead related to the strategic development, coordination and implementation of University-wide TEL, teaching and learning policies and initiatives. lead internally and externally facing teaching and learning activities. promote and champion TEL research and scholarship. Horizon scan and lead development initiatives. implemented a new learning environment, delivering appropriate policies, training, support and advocacy in order to make a step change in how TEL is used and embedded in the curriculum. eLearning: Research, user needs analysis, capacity building, development, evaluation, user needs analysis, training, horizon scanning and strategic developments associated with eLearning initiatives across a partnership of HE in FE colleges. Included in this area is the management of 3 JISC funded projects in Users and Innovation (Web2.0 technologies), a multi functional Regional Repository and Cross institutional support of lifelong learning. 1995-2009 Senior Lecturer in Navigation Systems, Marine Communications and Telematics, School of Earth, Ocean and Environmental Sciences, University of Plymouth. 2. implementation of a neural control system on board a vessel. 1991-1995 Part-time Lecturer, University of Plymouth. Courses taught - HND and Degree level. 1991-1994 Research Assistant, Institute of Marine Studies, University of Plymouth. Member of a multi-disciplinary collaborative research team. Research Project entitled "Technological Advancement in Integrated Bridge Design". 1988-1989 Design Engineer, Walker Wingsail Systems plc. Involved in research and development of a revolutionary propulsion system. 1991-1995 University of Plymouth. Registered for MPhil/PhD September 1991. Research entitled "Artificial Intelligence Techniques Applied to Automatic Ship Guidance". PhD awarded May 1995. 1987-1991 Polytechnic South West. BSc (Hons) Marine Technology (2:1). 1984-1986 Cornwall College of Further Education. BOATEC Course. Awarded a BTEC in General Engineering and a College Diploma in Boat Technology. 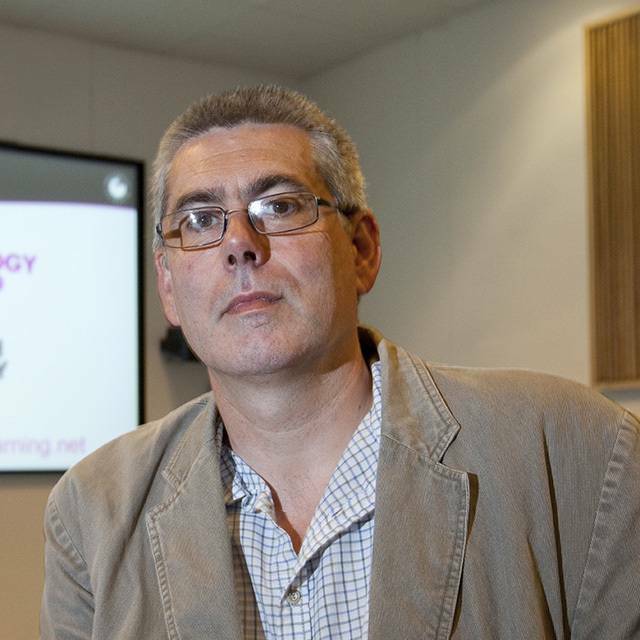 National TechDis Associate funded through JISC, advising HE and FE on Web accessibility issues. Sanders M and Witt N.A.J. C-Change – Open education resources, Awarded by the HEFCE/Academy/JISC Open Educational Resources Programme. £250,000, 2009. Witt, N.A.J and McDermott, A.P. Partnership Investigations into Accredited Prior/Previous Learning (Pineapple). Awarded by the JISC (Joint Information Services Committee) Institutional Innovation Programme. £300,000, 2009. Korn, N. Oppenheim C, Stephens, D., Waelde C, Witt N, E Giavarra Web2Rights - Developing IP pedagogical resources to support Web2.0 engagement. Awarded by the JISC (Joint Information Services Committee) Users and Innovation Programme. £49,731.87, 2008. Witt, N.A.J., McDermott, A.P. UPlaCe. A regional repository for University of Plymouth Colleges. Awarded by the JISC (Joint Information Services Committee) Repositories and Preservation Programme: Repository Start-up and Enhancement projects. £60,000, 2007. Witt, N.A.J., McDermott, A.P. UsPaCe The use of Web 2.0 technologies to support work based foundation degree students and their mentors. Awarded by the JISC (Joint Information Services Committee) eLearning Capital Programme: Cross Institutional Support of Lifelong Learning (phase 2), £199,788, 2007. Witt, N.A.J., McDermott, A.P. and Peters, M. The impact of Web 2.0 Tools on reflection, JISC Users and Innovation: Personalising Technologies, £5,000, 2007. STONE M.A.H and WITT N.A.J. et al Higher Education Learning Partnerships Centre of Excellence in Teaching and Learning, HEFCE Enhanced Capital Programme, £350,000, 2006. Witt, N.A.J., Crust, G., McDermott, A.P. and Croot, D. SHELL-FISH 2: an online feedback management system for electronically submitted coursework. Awarded by the Joint Information Services Committee (JISC) E-learning Tools for Learners and Teachers Distributed E-learning Programme, £58,500, 2005. Witt N.A.J, TechDis Associate award, Joint Information Services Committee (JISC) through the Technology and Disabilities Information Service (TechDis), £2000, 2005. Stone M., Burkill S., Tunbridge I. & Witt N., et al. Higher Education Learning Partnerships Centre of Excellence in Teaching and Learning, HEFCE. £4,500,000 2005. Witt, N.A.J., Crust, G., McDermott, A.P. and Croot, D. SHELL-FISH: an online feedback management system for electronically submitted coursework. Awarded by the Joint Information Services Committee (JISC) E-learning Tools for Learners and Teachers Distributed E-learning Programme, £98,053, 2004. WITT N.A.J. and MCDERMOTT A.P. University of Plymouth Teaching Fellowship, £5000, 2003. WITT N.A.J, Development and piloting of training materials for EVIMAR - the European Virtual Maritime Institute. €17,000, 2003. Witt N.A.J, TechDis Associate award, Joint Information Services Committee (JISC) through the Technology and Disabilities Information Service (TechDis), £2000 2003. Jervis J, Belt S, Witt N.A.J. and external collaborators, On-line assessment and feedback, FDTL £249,000 (University of Plymouth awarded £31,000), 2002. Witt N.A.J, Evaluation of software tools to produce SENDA compliance, Joint Information Services Committee (JISC) through the Technology and Disabilities Information Service (TechDis), £5000, 2002. Witt N.A.J. and Stone M , Auditing of online materials to achieve compliance with SENDA, Teaching and Learning Development Fund, UoP, £4900 ,2002. Witt N.A.J, Crichton T and Hooper J, Using Outlook shared folders for student reflection (e-reflection), Teaching and Learning Development Fund, UoP, £4900, 2002. Witt N.A.J. An illustrative Guide to Demonstrate the Concepts and processes in bringing web-based materials in line with SENDA legislation, GEES, £4500, 2002. Stone M and Witt N.A.J. Integration of a PDP system at whole course level , Teaching and Learning Development Fund, UoP, £4900, 2002. Witt N.A.J. and Stone M., “TAMAR 2– Targeted Modules for the Marine Sector”, European funded project sub-contracted from WEGEMT. €48,000,2001. Witt N.A.J. and Stone M., “Dissemination mechanism for FLOWMART Thematic Network” European funded project sub-contracted from WEGEMT. €10,000, 1999. Witt N.A.J. and Stone M., “Dissemination mechanism for RoRoProb Thematic Network” European funded project sub-contracted from WEGEMT. €10,000, 1999. Witt N.A.J. and Stone M, “Implementation of Terra2000 Web Site”, £1000, 2000. Witt N.A.J. and O’Hare T, “ELLIE – The Electronic Learning Information Environment”. University of Plymouth, Student Centred Learning Initiative, £3000, 1999. Witt N.A.J. and Stone M., “MARSK, Online Maritime Training”, European funded project sub-contracted from Marinetech South. €16,000, 1999. Witt N.A.J. and Stone M., “TAMAR – Targeted Modules for the Marine Sector”, European funded project sub-contracted from WEGEMT. €27,000,1999. Witt N.A.J. and Stone M., “Dissemination mechanism for Safer EURORO Thematic Network” European funded project sub-contracted from WEGEMT. €9,500, 1999. Witt N.A.J. and Stone M, “Implementation of Faculty of Science Web site” £2500, 1999. Witt N.A.J. and Stone M, “Implementation of Climatic Challenge Web Site”, £1000, 1999. Witt N.A.J. and Hooper J.B., “Marine Simulation at Plymouth”, funded by Transas Marine, £45,000,1998. Witt N.A.J. and Stone M, “Implementation of Plymouth Internet Learning Lab”. £60,000, funded by Continuing Vocational Education, HEFCE, 1998. Witt N.A.J. “Computer based tutorial and assessment templates for marine navigation”. University of Plymouth, Student Centred Independent Learning Inititative, £2018, 1997. Witt N.A.J. O’Hare T. and Harwood D., “CAL materials for basic science”, Fund for the Development of Teaching and Learning - Science Education Enhancement and Development , £9324, 1997. Witt N.A.J., Chudley J., Polkinghorne M. And Burns R.S., “To develop a world class on-line electronic distribution product update facility”. Teaching company scheme with PC Maritime Ltd., £80120, 1997. Witt N.A.J., Hooper J.B. and Chudley J., “Integrated Marine Training and Education”,. £7,600, funded by Continuing Vocational Education, HEFCE, 1997. Witt N.A.J., Hooper J.B., Atkinson H. L. and Chudley J., “Marine Communications Education and Training, STAGE 2”, £3,000, funded by Continuing Vocational Education, HEFCE, 1997. Witt N.A.J., Hooper J.B., Atkinson H. L. and Chudley J., “Marine Communications Education and Training, STAGE 1”, £1,800, funded by Continuing Vocational Education, HEFCE, 1996. Witt N.A.J., Stone M. and Chudley J, “Internet Delivery of Updating CPD Teaching and Training (INDUCTT) STAGE 2”, £25,000, funded by Continuing Vocational Education, HEFCE, 1996. Witt N.A.J. and Miller K.M., “Collation of Marine Related Internet resources for undergraduate and postgraduate programmes”. £2,400, funded by Technology Supported Learning, 1996. Witt N.A.J., Stone M. and Chudley J, “Internet Delivery of Updating CPD Teaching and Training (INDUCTT) STAGE 1”, £9,600, funded by Continuing Vocational Education, HEFCE, 1996. 1993 Visiting Researcher to Novorrosiysk State Marine Academy (NSMA) in Russia. Sponsorship provided by the British Council and Russian Merchant Marine Directorate for a collaborative project undertaken in January and February 1993. HSU, H., WITT, N.A.J. AND MCDERMOTT, A.P. (2007) AIS: From the Deck Officers’ Perspective. Maritime Quarterly, 16, 3, pp21-52. MCDERMOTT, A.P., WITT, N.A.J. AND CHUDLEY, J. (2006) A managed learning environment for Marine Engineers: the implications of learning styles. British Journal of Engineering Education, 5, 1, pp 43-47. WITT, N.A.J AND MCDERMOTT, A.P. (2004) Web site accessibility- what logo will we use today? British Journal of Educational Technology. 35,1 pp 45-56. WITT, N.A.J., PHIPPS, L., AND MCDERMOTT, A. (2003) Traveling the road toward a SENDA compliant website, Planet - Journal of the Geography, Earth and Environmental Subject Centre, Issue 10, pp14-15. WITT, N.A.J. AND MCDERMOTT, A.P. (2002) Achieving SENDA compliance for an academic website: An art or a science? Alt J: Special Edition ‘Access All Areas. University of Wales Press, pp42-49. MCDERMOTT A.P., WITT N.A.J., CHUDLEY J. (2002) The Marine Engineer, Continuing Professional Development and Internet Based Learning: The prospects for integration. The Proceedings of The Institute of Marine Engineering, Science and Technology, Part B Journal of Marine Design and Operations, No B.1, pp31-38. MCDERMOTT A.P., WITT N.A.J., CHUDLEY J. and M.A.H. STONE, (1999) Investigations into the application of Internet Based Learning for the delivery of Continuing Professional Development for Marine Engineers Journal of Global Engineering Education, Volume 3, Number 3, pp263-272. WITT N.A.J. and MILLER K.M., (1996) A Systems Approach to Neural Ship Guidance, in M Polkinghorne (ed), Applications of Artificial Intelligence for Technological and Business Processes, University of Plymouth Technology Transfer Series Vol 2, pp 1-9, ISBN 0 905227 57 3. WITT N.A.J., (1996) Ship Guidance Using Neural Networks, in M Polkinghorne (ed), Applications of Advanced Marine Control, University of Plymouth Technology Transfer Series Vol 1, pp 41-49, ISBN 0 905227 53 0. WITT N.A.J., SUTTON R and MILLER K.M.. (1994), Recent Technological Advances in the Control and Guidance of Ships, Journal of Navigation, Vol 47, No. 2, pp 236 - 258. WITT N.A.J. and MILLER K.M. , (1994), A Neural Network Autopilot for Ship Control, in Maritime Communications and Control, ISBN 0-907206-52-2 pp 47 - 59. TURNER, R., MCKENZIE, L., MCDERMOTT, A., WITT, N.A.J. AND STONE, M. (2007) Promoting The Capacity For Research And Scholarly Activity Within The Context Of Higher Education In Further Education. Society for Research into Higher Education Annual Conference 2007, 11-13 December, Brighton, Sussex. MCDERMOTT, A. AND WITT, N. (2007) A Multi Functional Regional Digital Repository for Teaching Higher Education in Further Education Colleges. In R.J. Atkinson, C. McBeath, S. K. A. Soong, and C. Cheers (Eds) ICT: Providing choices for learners and learning. Proceedings ascilite Singapore 2007. Centre for Educational Development, Nanyang Technological University, Singapore, 2-5 December, pp662-663. ISBN 978-981-05-9578-4. WITT, N., MCDERMOTT, A., PETERS, M. AND STONE, M. (2007) A Knowledge Management Approach to Developing Communities of Practice Amongst University and College Staff. In R.J. Atkinson, C. McBeath, S. K. A. Soong, and C. Cheers (Eds) ICT: Providing choices for learners and learning. Proceedings ascilite Singapore 2007. Centre for Educational Development, Nanyang Technological University, Singapore, 2-5 December, pp1099-1103. ISBN 978-981-05-9578-4. WITT N.A.J AND BREMNER E., (2007), THE CVRDA: A Community of Practice, Proceedings of the Royal Institute of Naval Architects Conference on Historic Ships, 22-22 February. MCDERMOTT A.P. AND WITT N.A.J. (2006) Experiences of developing and evaluating SHELL-FISH, a web-based marking and feedback tool. Australian Computers in Education Conference - ACEC 2006: October 2-4 Cairns, Queensland, Australia. WITT, N.A.J., PHIPPS, L., AND MCDERMOTT, A. (2003) Web Accessibility, Proceedings of 4th ILTHE Conference, Warwick, UK, 2-4 July. MCDERMOTT A.P., WITT N.A.J., CHUDLEY J. (2003) Continuing Professional Development needs for the Marine Industry. Proceedings of 6th UICEE Annual Conference on Engineering Education, Cairns, Australia, 10 - 14 February, pp301-304. STONE, M.A.H. AND WITT, N.A.J. (2001), The Development and Use of a Managed Electronic Learning Environment for Agricultural Education and Training, Conference Proceedings, 5th European Conference on Higher Agricultural Education, University of Plymouth, ISBN 1-84102-074-5. MCDERMOTT A.P., WITT N.A.J., CHUDLEY J, (2000), Internet Based Learning for the Delivery of Continuing Professional Development for Marine Engineers, Proceedings Sixth International Conference on Modern Industrial Training, Beijing, China, 24 – 27 October . MCDERMOTT A.P., WITT N.A.J. and CHUDLEY J., (2000), Utilising Internet Based Learning for the delivery of Continuing Professional Development for Marine Engineers, Proceedings 3rd UICEE Conference on Engineering Education, Hobart, Tasmania, 9 – 12 Feb.
MCDERMOTT A.P., WITT N.A.J., CHUDLEY J. and M.A.H. STONE, (2000), Internet Based Learning for the delivery of Continuing Professional Development for Marine Engineers, Proceedings Sea Australia 2000, Sydney, Australia, 1 – 3 Feb.
MCDERMOTT A.P., WITT N.A.J., CHUDLEY J. and M.A.H. STONE, (1999) Investigations into the application of Internet Based Learning for the delivery of Continuing Professional Development for Marine Engineers Proceedings 1st CCEE Conference on Life Long Learning for Engineers, Glasgow, Scotland, 23 – 25 May. HOOPER J.B., REDFERN A, and WITT N.A.J (1998), Editors, Proceedings Tenth International Simulator Lecturers’ Conference, Plymouth, UK, ISBN 1-84192-004-4. STONE, M and WITT, N.A.J. (1997), Electronic Library Services as part of Electronically Supported Distance Learning, Open Learning Foundation, Librarians' Special Interest Group Inaugural Conference, Open Learning Foundation, London, 24/3/97. HOOPER J.B. and WITT N.A.J. (1996), A Simulation Facility for the 21st Century, Proceedings 9th Navigation Simulator Lecturers Conference, Vancouver, Canada, 19-23 August. MILLER K.M., WITT N.A.J. and RUSSELL M.P. (1995), Mathematical and Scale Model Platforms for Maneuvering Trials, International Symposium on Maneuverability of Ships at Low Speed, Ilawa, Poland, October 1995. WITT N.A.J., MILLER K.M. and SUTTON R. (1995), A Track Keeping Neural Network Controller for Ship Guidance, CAMS ‘95 IFAC Workshop on control Applications in Marine Systems, 10-12 May. WITT N.A.J. and MILLER K.M., (1993), An Adaptive Track Keeping Neural Network Controller for Ship Guidance, Proceedings of The Impact of New Technologies on the Marine Industries Conference, Warsash, Vol 2, Paper 51. WITT N.A.J. and MILLER K.M. , (1993), A Neural Network Autopilot for Ship Control, Proceedings of Third International Conference Maritime Communications and Control, London. WITT N. AND STONE M., (2006), Usability and Evaluation of the Knowledge Exchange, Tomoye BEST Knowledge Management & Communities of Practice Event, Washington D.C. 21st July. WITT, N AND MCDERMOTT, A. (2005) SHELL-FISH. Plymouth eLearning Conference: Strategies for transformation. University of Plymouth, Plymouth, 26 November. WITT, N.A.J AND MCDERMOTT, A.P. (2003), Accessibility and eLearning, Proceedings of the eLearning: strategies for the futures conference, Plymouth, 29 November. MCDERMOTT, A.P. AND WITT, N.A.J. (2003) eReflection. Promoting Successful Learning and Teaching at Plymouth Conference, Plymouth, UK, 22 October. WITT, N.A.J. AND MCDERMOTT, A.P. (2003) Auditing of online materials to achieve compliance with SENDA. Promoting Successful Learning and Teaching at Plymouth Conference, Plymouth, UK, 22 October. WITT, N.A.J. (2002) NS3 to OLAAF, experiences in online assessment and marine simulation, Promoting Successful Learning and Teaching at Plymouth Conference, Plymouth, UK, 22 October. WITT N.A.J and STONE M.S., (1997), Electronically Supported Distance Learning: From INDUCTT to PILL, Proceedings ILT'97 Integrating Learning Technologies, Plymouth, UK, 30th January. HOOPER J.B. and WITT N.A.J. (1997), Latest Developments in Marine Simulation at the University of Plymouth, Proceeding ILT'97 Integrating Learning Technologies, Plymouth, UK, 30th January. McDermott, A.P., Witt, N.A.J. & Stillwell, R. (2009) UsPaCe: the Journey to Version 1 (invited poster presentation). JISC Symposium: Effective Strategies for using technology to enhance lifelong learning. Birmingham; Aston University, 4 March. McDermott, A. and Witt, N. (2007) A Multi Functional Regional Digital Repository for Teaching Higher Education in Further Education Colleges. Ascilite 2-5 December, Singapore. MCDERMOTT, A.P. AND WITT, N.A.J. (2006) Issues involved in setting up a regional e-learning Digital Repository. Australian Computers in Education Conference - ACEC 2006: October 2-4 Cairns, Queensland, Australia. BALL, S., DRAFFAN, E.A., HARRISON, S., MCDERMOTT, A., MCNAUGHT, A., PHIPPS, L., RAINGER, P., SEWELL, J., SLOAN, D., SUTHERLAND, A., WHITE, J., WILES, K., AND WITT, N. (2005) TechDis Staff Packs: Supporting Staff Development Activities from TechDis. York, TechDis. WITT, N.A.J AND SLOAN, D. (2004), Access as the norm, not an as add-on, Times Higher Education Supplement, ICT in Higher Education, April 30, pp14-15. WITT N.A.J., KELLY, AND SLOANE D. (2003), Web Site Accessibility: Too Difficult to Implement?, Panel Session, Internet Librarian International 2003 Conference, Birmingham, UK, 24-27 March. STONE M., WITT N. & MCDERMOTT A. (2006), What is the UPC Knowledge Exchange Network, HELP CETL Information Series No 2. PHIPPS, L., WITT, N.A.J. AND MCDERMOTT, A. (2002) To Logo or Not to Logo? Interact Learning Technology Support Service, University of Bristol, Issue 25, p6. CHUDLEY J., MCDERMOTT A.P. AND WITT N.A.J. (2002) Data Mining of Marine Professionals’ Continuing Learning Activities Surveys and Adaptation of Learning Activities Questionnaire. ADVANCES EU Project number 2000-TN-10007, Doc ref D3.6A, April 2002. WITT N.A.J., (1996) Surveying and the Internet, Soundings, March 1996. WITT N.A.J. and MILLER K.M., (1995) The Development of a Test Bed for Intelligent Ship Guidance, Navigation News, January.